The ladies must love you. There, I said it, we can all move on now. Actually, was that Maria menu theme ever verified? I know I've never seen it myself. And by the way, does anyone else have 340 some hours of SA2:B logged? or is it unnatural? Last edited by Wooduck51 on Sat Jun 16, 2007 5:17 pm, edited 1 time in total. I had somewhere in the ballpark of 100+ hours on SA2:B before my 1019 card failed me and destroyed all my saves. A similiar thing happened to me on the DC version, but i've long forgotten how much I put into that. ... I'll suppose you get to such numbers by means of Chao breeding, because if it was for mastering every single stage with an A... I'd fear this game. Also, are these Sonic Shuffle button-mashing mini-games anything like the torture scene of MGS? If so it's not that impossible. Hell, I didn't even know there were themes. Shows how much I care about SA2:B. I've been mulling around the idea of DC emulation just to play the Green Hill Zone remake. Has anyone here done it? Is it worth it? Isuka wrote: ... I'll suppose you get to such numbers by means of Chao breeding, because if it was for mastering every single stage with an A... I'd fear this game. Partly chao breeding, but I like to play through story mode again and again when the mood hits me, or just mess around. I've been mulling around the idea of DC emulation just to play the Green Hill Zone remake. Has anyone here done it? Is it worth it? I've never once played the GHZ remake, but the game itself runs rather well on nullDC. Advance page updated, it seems. Not many objections to make, save for two points: you state that all versions of Sonic Advance are identical, when there's at least one major difference between the european and the remaining versions -- the former features text in French, German and Spanish, adding to the Japanese and English options featured in the previous versions. Sonic Advance page wrote: Trick Point (トリックポイント) -- Press button B to perform an aerial trick just as you pass through the flashing panel. If you're timing's on, you'll be awarded a hefty Ring bonus. So that's why I couldn't perform any aerial tricks in the game; I'm not timing's on. Maybe I should be attitude for gains too :P .
Sonic Advance page wrote: Any previously accessed Zone or Act can be revisted at will via the main menu. Ritz wrote: Hammering, kinda. It's hard to explain, but I sort of know how to make my hand vibrate. It's a gift, really. I can't pull it off through any means other than vibration. I do the same thing. You seize the muscle or whatever just the right way and it twitches madly, right? I can only keep it at full speed in short bursts, and after a while it starts giving out completely, but it's the ultimate single button mash technique. Locit wrote: I've been mulling around the idea of DC emulation just to play the Green Hill Zone remake. Has anyone here done it? Is it worth it? I own SA2:B--it's been a while since I've played the GHZ redux stage, but I remember it relatively fondly. My favorite parts were the stage's opening (which starts off looking like the 2D game but then suddenly explodes into 3D) and the remixed theme. Also, I'm not sure how on- or off-topic this is, but I couldn't think of anywhere else to put it: The GHZ is up for nomination for "Best Sonic Resource" in the 2007 Sonic Wrecks Awards. It must truly be an honor to be alongside such venerable nominees as Manic Panic and Untamed Beauty. IF YOU ARE TIMING IS ON! I hope this isn't for a grade! 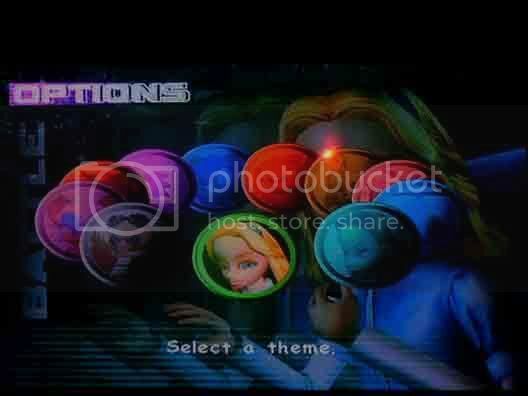 Nice job with the screenshotting in the Sonic Heroes page. Since the PC version is fairly identical to the console iterations, it allows for crisp, yet accurate pictures. One thing that bugs me, though, as it was before the update, you've failed to refer Team Sonic's secondary blast effect. Just like Team Dark gets Chaos Control, Team Rose gets invincibility and Team Chaotix gets a ring item box from each enemy destroyed, Team Sonic gains the ability to perform the Light Attack during the gauge emptying period: hit B while jumping near enemies in Speed formation and Sonic'll home around and destroy any enemy in the vicinity, regardless of remaining health. Additionally, thunder-shooting Sonic in Fly formation and dunking Sonic in Power formation achieves the same effect. Last edited by Neo on Sun Jul 15, 2007 11:59 am, edited 1 time in total. If the game lets him, and it's worthless on Eggman's boss mechas. If you die, you start all the way back at stage 1. Good freaking luck. If you run out of lives. There's a lot more facts to fix but i'll bring them up when I feel like it. Last edited by FlashTHD on Sun Jul 15, 2007 12:06 pm, edited 1 time in total. And I seem to have forgotten to delete that 'hit' from the phrase's original syntax. Shame on me. Since you're apparently updating the Sonic Heroes page, the PS2 version atleast(XBox too, probably) can be switched to Japanese voice from the options menu. It's just to the left of the text language. In bottom section it says you have to change the console's settings, which you don't. I keep hearing conflicting reports about this, but I don't have either version to test it myself. Can anyone else confirm? ... I have the Korean version, it lets you do it in the Options menu. And for it's future museum page, the PS2 Shadow the Hedgehog manual clearly states that you can do it too in said crappy game. Sonic Advance 2 page wrote: After flying off a ramp, press R and any direction on the D-pad to perform an aerial Trick Action. If I recall, if you manage to press the Jump button while walking on the ramp you'll instantly get a big burst of speed, getting into Boost mode. And about the acceleration thing, it looks like the more rings you manage to amass at one time, the faster you get to maximum speed before breaking into Boost mode. This is particularly noticeable when you get hit after collecting some 50 or more rings (without a barrier), you'll find the character much "heavier" than it was just a second before the impact. Last edited by Isuka on Mon Jul 16, 2007 3:36 pm, edited 1 time in total. I played the PS2 version, and I can confirm that the languages can be switched in the settings. Last edited by Pepperidge on Sun Jul 15, 2007 9:43 pm, edited 1 time in total. Sonic Advance 2 wrote: After flying off a ramp, press R and any direction on the D-pad to perform an aerial Trick Action. Wrong on both counts. Hitting A the instant you go off a ramp launches you off with more height and covers less distance, and Rings deterimine how long you have to hold max speed before Boost Mode kicks in. I believe in the XBox version of the game, you had to go into the system settings and change the language to Japanese to hear the Japanese voice acting. I don't own the game, but a friend of mine had the Xbox version and was showing me this one time. I'm not sure if there is a way (oblivious to us) to change the spoken language without going into the console settings.